Juvenile justice matters are of critical concern in both the United States and around the world. 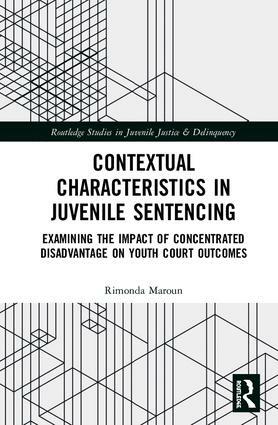 Books in the Routledge Studies in Juvenile Justice and Delinquency series explore mechanisms, consequences, insights, and innovations in the field of juvenile justice and its responses to delinquency. Each monograph will examine new areas of empirical and theoretical inquiry, provide an agenda-setting discussion of important concepts and controversies surrounding juvenile justice and delinquency, and seek to encompass a transnational or global approach to the issues addressed. The series will be a resource for the international community of undergraduates, post-graduates, researchers, practitioners, and policymakers concerned with juveniles and families caught up in or at risk of engagement in delinquency and justice system involvement.